On Tuesday, May 10, 2011, Andrew Joseph Davis, 20, was arrested for running down a person with his car and dragging the individual 100 feet. The Oklahoma incident resulted in the above mug shot of Davis, which was published by Smoking Gun. Police were called after eyewitnesses saw a driver wearing the distinctive face paint swerve across the road near Bartlesville, Oklahoma, and hit a pedestrian before accelerating. Nearby residents reported that the two men in the black-colored sedan shouted "Woop! Woop!" as they zoomed away from the scene. 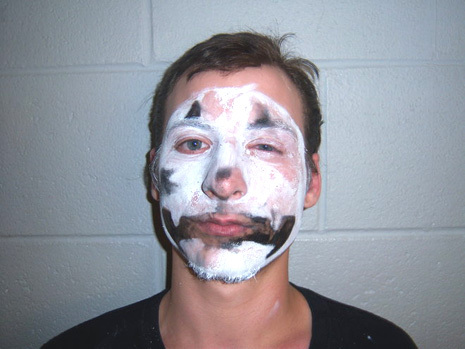 It was unclear why he was wearing the face paint, although it could be because he is a "fan of Insane Clown Posse, whose 'Juggalo' followers are partial to similar facial adornment," Smoking Gun said. 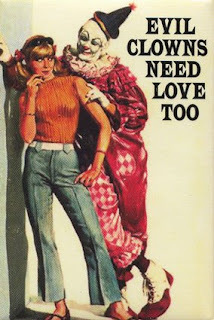 Perhaps Andrew Davis was merely attempting to get on the Top Ten Evil Clown List for 2011? Not much has floated to the top since the clown reports that made the list from 2008, but this year is starting off rather strangely. 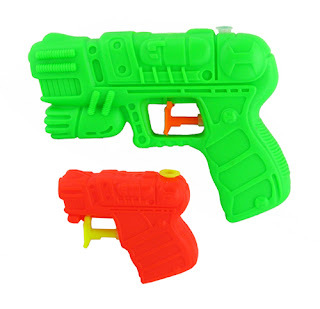 For example, Mitchell Woods, 17, of Thrasher Close, Haggerston, East London, was sentenced at Maidstone Crown Court on Monday, May 9, 2011, after pleading guilty to possessing a prohibited firearm and possessing ammunition without a certificate, to three years in jail. On January 29, 2011, Woods was arrested by a Kent Police Armed Response unit at Higham rail station, after officers were called to the station by a concerned member of the public, who, while waiting for a train at Chatham, overheard Woods talking to some friends about carrying a gun. 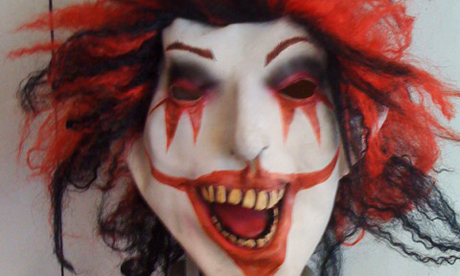 The Hackney teenager was caught carrying a loaded gun and a clown mask (seen below) on a train in Kent. The gun had been previously used in three gang-related shootings in London, one in which someone had been shot three times with the weapon, according to media accounts. Then there's such things as the robbery in Alabama in April. According to a Dothan, Alabama police statement, a robbery took place around 12:45 a.m. on Tuesday, April 26, 2011, at the Hobo Pantry store. The police reported a man armed with knife stole some cash and ran from the store toward Westgate Parkway.The robber as a white male, about 6 feet tall, who weighed 175 to 180 pounds, had blue or green eyes, wore desert camouflage pants, a black hooded sweater with red and green animated pictures on it along with the black and white Insane Clown Posse mask over his head. Of course, evil clowns (and Joker clones) turned up in 2009, as well as real killer clowns in 2010. But while 2011 seemed to start off rather slowly, with a clown attack on March 22nd, these new events, noted above, may be a clue of things to come. This is the scene aboard American Airlines Flight 1561 from Chicago, just ten minutes before arrival at San Francisco's airport, when a Yemeni man attempted to storm the flight's cockpit. During the last few days, you may have noticed that people are beginning to share questions like, "Is there something in the air?" or "What's in the water?" Comments such as those usually alert us to the fact there seems to be a strange trend in the news reflecting outbursts of human behavior or what I like to call, "human earthquakes." There definitely are periods when humans appear to repeat patterns so similar that the copycat effect, behavior contagion, or some mysterious seismic forces seem to be at play. Are we in such a period? First, let us mention the prediction for a massive earthquake occurring today, May 11, 2011. Why should people pay attention to Bendani's prediction? Well, of course, because he was right before. He predicted the earthquake of January 13, 1915, which killed 30,000 people in Avezzano. 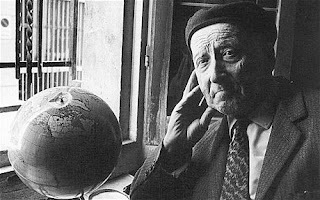 In 1923, he predicted an earthquake would hit central Italy on January 2, 1924. He was only off by two days. He also forecast the quake of May 6, 1976, in Friuli, which killed 1,000 and left another 45,000 homeless. An update: Late news reports on May 11th, say a 5.3 earthquake causing eight fatalities hit Spain. See here. On May 12th, UK's The Telegraph asked, "Was Bendani Correct?" As the earthquake struck yesterday, there was a sigh of relief in Rome, whose residents had mounted a mass evacuation following claims of a 1915 prediction by Mr Bendandi that the “big one” would wipe out the Eternal City on May 11, 2011….“There is absolutely no link between Spain and Italy, geologically, or with the prediction of an earthquake in Rome,” said the Italian National Institute of Geology and Vulcanology. “The earthquake in Spain was not very strong in itself, but it was close to the surface,” said Alberto Michelini, a seismologist at the institute. “The quake happened on the coast, a zone which has not had strong quakes in the past. It is close, however, to the point where the Eurasian plate meets the African plate,” he added. Meanwhile, what about the human earthquakes? What is remarkable is the rather high number of incidents of strange human bizarre behaviors of late. Such outbursts are often associated, in the public mind and media, with some form of lunacy, i.e. as if they are caused by the full moon, the new moon, an alignment of planets, or earthquake activity (which, in turn, is blamed on the moon/planets, as well). The following is a quick roundup of some of these recent incidents. The one that received the most media notice involved an event that appeared to remind people of the 9/11 scenarios, and, indeed, was frightening to those abroad the involved flight. Rageit Almurisi, 29, a Yemeni man screamed "Allah Akbar" as he stormed the flight's cockpit. He banged on the cockpit door on American Airlines Flight 1561 from Chicago, just ten minutes before the jet was due to land on Sunday night, May 8, 2011. 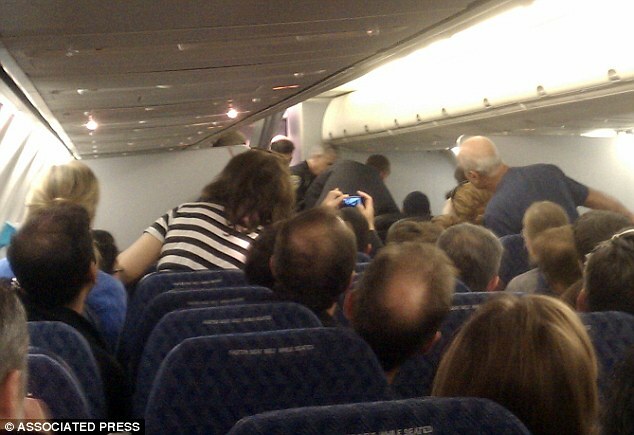 A flight attendant tackled the man to the floor, and the attendant was soon assisted by other passengers. On Tuesday night, May 10, yet another man, this time on a Delta flight, attempted to open an exit door. 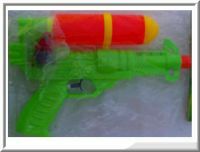 Can you name the brand of the water squirt gun photographed underneath the body of one of the men killed during the Osama bin Laden raid in Pakistan? Random squirt gun images that do not exactly match the one photographed during the raid. 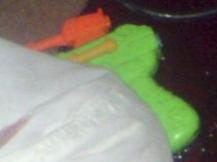 Photos of the squirt gun. The image of the dead body and the squirt gun. Operation Geronimo was the codenamed mission to kill Osama bin Laden on May 1, 2011.Geronimo (Chiricahua: Goyaałé, "one who yawns"; often spelled Goyathlay or Goyahkla in English) (June 16, 1829 – February 17, 1909) was a prominent Native American leader of the Chiricahua Apache who fought against Mexico and the United States for their expansion into Apache tribal lands for several decades during the Apache Wars. In one of the strange twists of the story of the original Geromino, enter a secret society well-known to conspiracy theorists. Six members of the Yale secret society of Skull and Bones, including Prescott Bush, served as Army volunteers at Fort Sill during World War I. It has been claimed by various parties that they stole Geronimo's skull, some bones, and other items, including Geronimo's prized silver bridle, from the Apache Indian Prisoner of War Cemetery at Fort Sill, Oklahoma. Alexandra Robbins, author of Secrets of the Tomb: Skull and Bones, the Ivy League, and the Hidden Paths of Power (2002), says this is one of the more plausible items said to be in the organization's Tomb. The Americans chose the code name of a Native American warrior chief in the operation to kill Osama bin Laden. But, as Samira Ahmed writes, Geronimo did more than evade capture - he became a hero. It's what you shout when take a dangerous leap; a slogan of US paratroopers during the second world war. But the 19th century Chiricahua Apache hero, whose name it is, was a perhaps questionable choice of code name for Osama Bin Laden; given the numbers of people who do regard him as a hero. His story is laden with symbolic parallels for those who choose to regard Bin Laden as a great warrior. 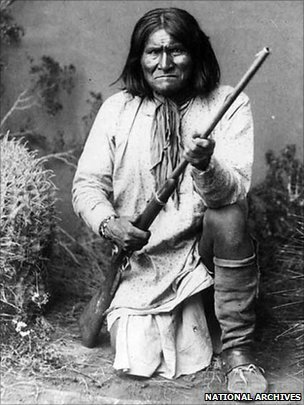 Born Goyahkla (He Who Yawns) in modern New Mexico in 1829, he was given the name Geronimo by Mexican soldiers, who prayed to St Jerome, after seeing him defy bullets to attack with a knife. His desire for revenge against the Mexicans was fuelled by their massacre of his mother, wife and three children. He was a symbol of resistance – the man who defied the White Man's broken treaties, who refused to remain quietly on a reservation when other tribes had given in and been forced off their tribal lands. Geronimo famously said he was not a chief, a political leader. Instead, like Bin Laden, he saw himself as a military leader. Bin Laden's fundamental hatred against the west was supposedly the US presence on holy (and oil-rich) Saudi Arab soil. In the 1860s, the discovery of Gold in the West saw the US and the Mexican governments speed up their push against American Indians to seize their land. Geronimo became a great war leader, a symbol of resistance to the white occupation. His small band of warriors raided settlements in Arizona, and attacked US troops. As the US looks to withdrawal from Afghanistan, and the possibility of negotiating with theTaliban, it's worth noting that he was rarely defeated and US generals found themselves struggling to form a successful strategy. The last of the Indian wars ended after years, only when Geronimo signed a piece treaty with General Nelson Miles – who had failed to defeat him by military means. The end of Geronimo was a humiliation of broken promises, not assassination. As a result of the revisionist histories written since the 1960s, many younger Americans, such as President Obama, would, surely be aware of the less than honorable actions of US forces against American Indians, such as Geronimo. He and his people were moved around Florida, and Alabama, ending up in Oklahoma. He was not killed in a compound; but died in US military base – Fort Sill in 1909, after completing his autobiography. Even in the early 1960s, when we assume Indians were the "bad guys", Hollywood’s first biopic starring the white sportsman turned actor Chuck Connors as the Native Indian hero, saw him portrayed as a great hero and family man, abused by Federal forces. The 1993 film Geronimo: An American Legend, starting Gene Hackman, Robert Duvall and the Native American Wes Studi as Geronimo, focused on the abuse of the Apache themselves and the success of a small band of dedicated warriors against the might of the US military. Thus reports Channel 4 News. The British, via the BBC News, have another take on the name game of "Geronimo." The code name for the operation to capture Osama Bin Laden was Geronimo. Why was it named after one of the best-known Native Americans? Geronimo. The Apache warrior's name conjures up an image of the American Wild West, the world over. In the best-known photograph of him - taken in 1887 - he glares defiantly into the camera, gripping a rifle. It was this fearless warrior that led the last band of Apache resistance to the white Americans. The fact that Bin Laden had been killed by US special forces was reported to President Barack Obama on Sunday with the words "Geronimo EKIA" - Enemy Killed In Action. 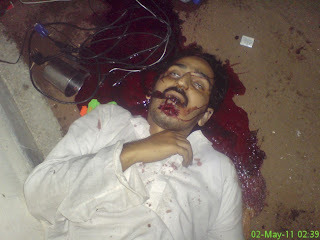 It was back in 2001 that the narrative for America's hunt for the al-Qaeda leader became strewn with Wild West imagery. 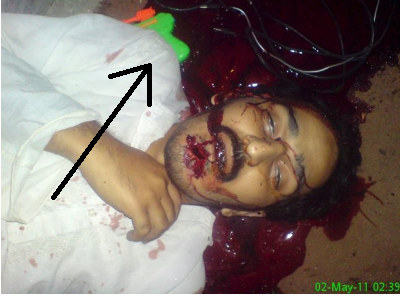 George W Bush's call for Bin Laden to be caught "dead or alive" mimicked the posters of the old Hollywood westerns, while borderland Pakistan became the Old West reincarnated in the minds of many commentators. Bin Laden was referred to by one as a "21st-Century Geronimo, trying to elude the US military somewhere in a dry mountain range that could easily pass for the American West". Afghanistan's cave-laced mountains, were easy to imagine using the template of the Sierra Madre mountain range thousands of miles away, where the original Geronimo managed to elude US troops for so long in the late 19th Century. Referring to US military possibilities in the tribal areas of Afghanistan's mountainous regions, Allan R Millet, a retired Marine Corps colonel and Ohio State University professor, said in 2001: "It's like shooting missiles at Geronimo... you might get a couple of Apaches, but what difference does that make?" Geronimo was actually given the name Goyahkla at birth. One theory is that he acquired the name Geronimo from the Mexicans he fought to avenge the death of members of his family. According to one story the Mexicans would shout: "Cuidado! (Watch out!) Geronimo!". It could be because they mispronounced his name or, as some historians have suggested, they were calling for the protection of St Jerome. The real Geronimo was born in 1829 in what is modern day New Mexico. As one of the Apache leaders, he inherited a tradition of resisting colonisation by both Spaniards and North Americans. According to Ron Jackson writing in the Oklahoman in 2009, Geronimo's "legend is rooted in real deeds of bravery and bloodshed." He gained early notoriety for his fearless raids against Mexican soldiers. Mexican troops had killed members of his family after storming his village, and his revenge was to kill as many of them as possible. "By 1872, US government officials were keenly aware of Geronimo's fighting exploits when they corralled him and hundreds of his fellow Chiricahua Apache people onto an Arizona Territory reservation," writes Mr Jackson. "Four years later, Geronimo led a large band of Apache dissidents off the reservation and into the Sierra Madre mountains of Old Mexico, where they staged raids on anyone unlucky enough to cross their paths. "Military officials soon branded Geronimo a renegade. 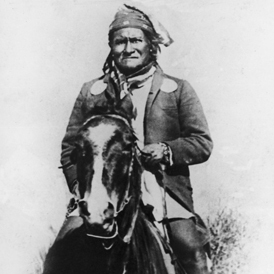 During the next decade, Geronimo repeatedly returned to reservation life in peace only to bolt with others for the refuge of the Sierra Madres. 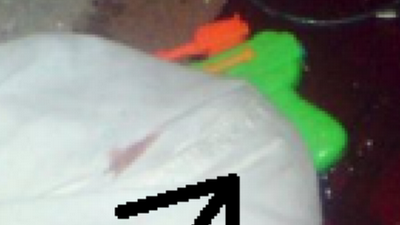 They often left a trail of blood. Hidden in the myriad mountain passes and caves, Geronimo and his followers embarrassed military officers by eluding them time and again, at one point with as many as 5,000 US soldiers on their heels." It was Apache scouts that helped track Geronimo down in 1886. The hunt for Bin Laden was often portrayed with Wild West imagery. His struggle to resist the white Americans has led to him being depicted in a sympathetic light by many cultural historians. Ironically, it is thanks to the Native American's legendary bravery that one of US army's elite units has the regimental nickname "Geronimo". The link to the parachute division's moniker and the tradition of shouting "Geronimo" while diving out of a plane can be traced to Fort Benning in the state of Georgia. According to reports, in 1940 soldiers from the parachute division were preparing to test a daring new maneuver, in which men jumped from the plane in rapid succession. The night before the jump, a small group of soldiers left the base to watch film at the local cinema - a western featuring the fearless Geronimo. As the men later revealed their apprehension about the next day's jump, Pt Aubrey Eberhardt announced that he was going to shout "Geronimo" as he leapt from the plane to demonstrate his courage. The story goes that as he jumped, "G-E-R-O-N-I-M-O" was clearly heard from the ground. It was copied by other servicemen and quickly became standard parachute regiment practice - and the favoured cry for little boys performing a daring leap. The word "Geronimo" was eventually discontinued by the army in favor of a parachute opening count - "one-thousand, two-thousand, three-thousand" - but by this stage it was already the name of the 1st Battalion (Airborne), 509th Infantry Regiment. The "Geronimos" have been operational in Iraq and Afghanistan. By adopting the tactics and techniques of al-Qaeda and the Taleban, they help to train other units to defend themselves. The original Geronimo is buried at Fort Still in Oklahoma - but one branch of his descendants argue that he should be laid to rest in his tribal homeland of the Gila Mountains of New Mexico. Until the correct sacred rite is carried out, his spirit is still wandering. So what's the end of the story of Skull & Bones stealing Geronimo's skull? The second "tomb" references the building of Yale University's Skull & Bones society. The Fort Sill grave site of Geronimo. In 2009, Ramsey Clark filed a lawsuit on behalf of people claiming to be Geronimo's descendants, against, among others, Barack Obama, Robert Gates, and Skull & Bones, asking for the return of Geronimo's bones. An article in The New York Times states that Clark "acknowledged he had no hard proof that the story was true." Please see comments below for more on the "third" head: Pancho Villa's.